I was taking a walk yesterday along a local beach, when I noticed a young girl, about two years of age, approaching another girl, probably two years older. From a distance, I could see that they had been playing separately in the sand. But just as I continued to walk, I could see that both children were not only different in age, but ethnicity. To be honest, I do not normally notice “differences,” other than for the point of this post. I do know that the older child appeared Caucasian, while I am not sure what was the ethnicity of the younger child. Nor does this matter, nor should it matter. As both parents looked on, the smaller child, seeing the older child playing in the sand as well, had picked up her sand bucket and wandered over to the older child. The mother of the younger child got up from her beach blanket and followed her daughter. The younger child stood there in front of the older child, and her grandfather as if waiting for the next step. And then it happened, the mother asked the grandfather if their children could play with each other. I am caucasian technically with some Cherokee lineage. I have two daughters of Chinese descent. I grew up in a city where I was the “minority,” but somehow managed to get along with everyone. 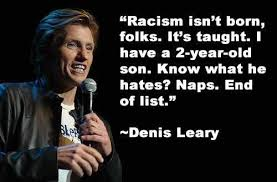 I know racism exists, through honestly I had hoped that by the mid-century mark of my life, that progress would have been made toward at least reducing it. And though I normally stay away from political topics on this blog, comments by a media mogul, and then echoed by a certain political party candidate for president, really bothered me. Headlines still cannot be read without mentioning the color of either the antagonist or protagonist. But now, even a potential leader of our country is feeding into this. This is unacceptable. And I could not help but be sad for these two little girls. 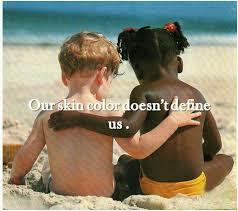 Right now, they did not know that their skin colors were different, or that in our country it makes a difference. They have not be taught this yet. But somehow, by the time they start paying attention to the media, the education will still be the same, using “color” to describe the severity of a story. 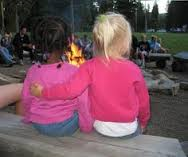 They will be taught something they were not born with, racism.